So….what’s happening in the Grampians. It may not seem like much but there is work and discussions going on. The job and road ahead is massive and I am in constant contact with those at PV to see at what stage the works are and how the climbing community can be involved. • Another site visit will be occurring soon to Summerday Valley. This will confirm the realignment of the access track in and the loop track within the valley. A quote on work costs has now been received by PV. After funding has been established work will start on these jobs. Summerday has an approximate closure time of a year in order for it to recover from the fire but in the meantime the work that needs to be done to make it accessible will be ongoing over the year. Previous to the fire, the VCC were successful with a grant to help harden up the Main Wall area. Around near Waxman, the ground was particularly eroded and suffering from the heavy traffic it receives. Dates will be organised soon to undertake this job – most likely towards mid/end of May. I will be confirming these dates shortly. the areas and tracks into climbing areas with climbing specific info. Respecting these closures goes a long way to showing that the climbing community is onboard when it comes to looking after the park. 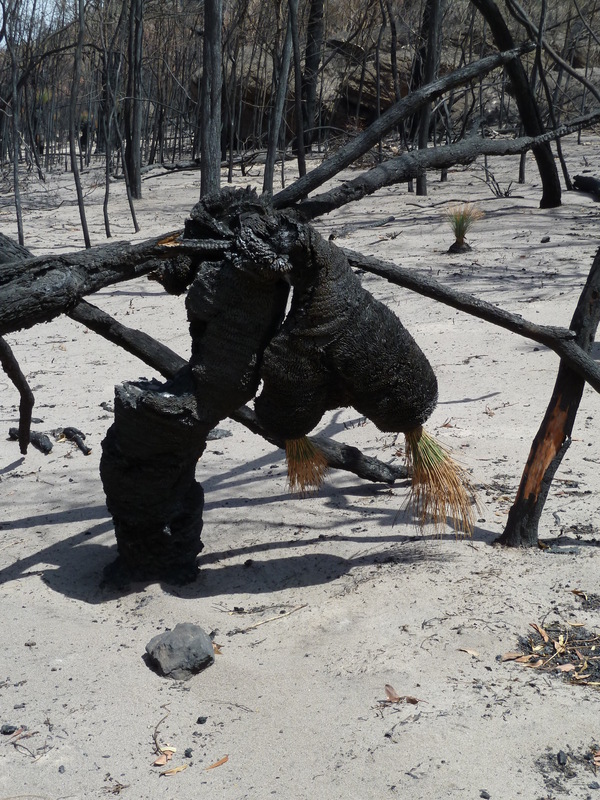 This entry was posted in Access &Environment officer reports, Arapiles, Grampians and tagged arapiles, Bushfires, cliffcare, closures, cultural heritage site, grampians, parks victoria, reopenings, rules and regulations, victoria range by Tracey. Bookmark the permalink.